The one difference from last week’s top four and the final one was Clemson and Ohio State switched spots. So the Tigers will wear the home jerseys in University of Phoenix stadium instead of the Buckeyes. Selection committee chairman Kirby Hocutt said the decision came down not to Penn State and Ohio State but the Nittany Lions (11-2) and Pac-12 champion Washington. The Huskies’ only loss was to Southern California and its nonconference schedule featured FCS Portland State, Rutgers and Idaho. Penn State played Pitt, Temple and Kent State in the conference and lost to the Panthers. The Nittany Lions also were beaten by 39 at Michigan in their last loss. “Had Washington had a stronger strength of schedule I do not think that conversation would have been as difficult,” said Hocutt, who is also the Texas tech athletic director. “You can make arguments for and against so many teams,” Penn State coach James Franklin said on ESPN, adding his team was appreciative of the Rose Bowl bid it will receive. - Which Pac-12 team will be in the Rose Bowl? 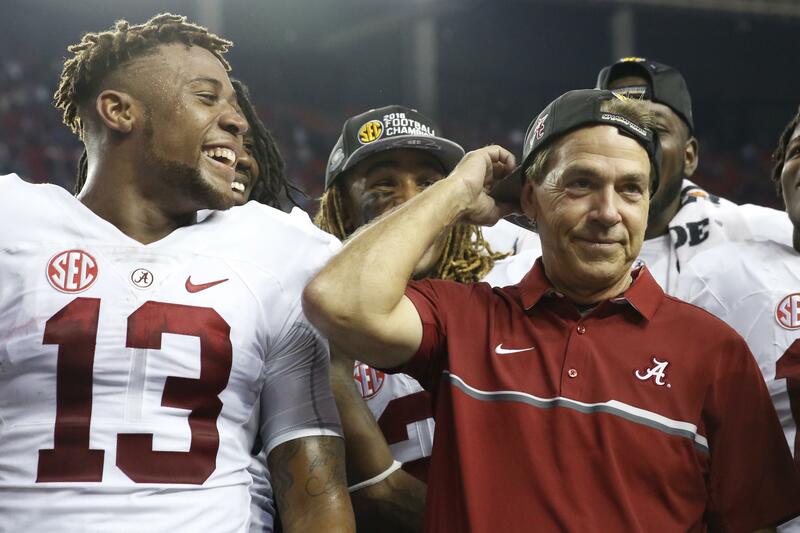 - Which Southeastern Conference team will play in the Sugar Bowl against Oklahoma? - Which Atlantic Coast Conference team will play in the Orange Bowl, likely against No. 6 Michigan? - Which teams will play in the Cotton Bowl? Unbeaten Western Michigan is likely to be the highest ranked Group of Five champion and get one spot.